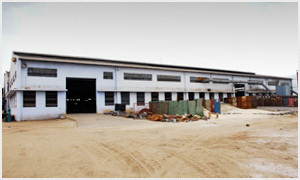 The plant is operating at Kunnathur Pudur, Coimbatore, India. A wide product range covers sizes and specifications catering to diverse application areas like Textile, Motor pump, Automotive and General Engineering Industries etc. 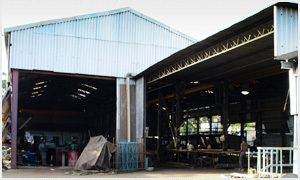 The Bright bar facility has an installed capacity of 12,000 tons with annealing facility. We have adequate facility to supply peeled ground bars and profiles using the modern inspection facility available in-house which includes hardness tester, metallography , hardenability tester, spectrometer etc.., Our manufacturing facilities are supervised by technically experienced people and high level quality standard maintained. The plant is operating at Samanaickenpalayam, Coimbatore, India. The foundry unit has an installed capacity of 18,000 tons per annum and has the most modern handmoulding and high pressure lines. With a qualified and experienced technical team aided by the state of the art infrastructure we have persistently produced quality grey and ductile iron castings. We can also supply proof machined and finished machined castings as we have the most modern and comprehensive machining facility in our sister concern.